Are there business strategies and ideas that you’re focused on for the future? Our senior team will listen to and explore those ideas with you, then translate them into technical ideas, concepts and designs that address your business needs and work with your existing systems. Do you have a new concept that you would like realized? 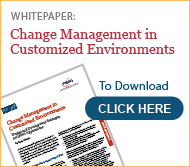 A business process for which you need software custom-built? How about a mobile app to bring product availability or customer sales history to your sales force, or customized dashboard access with capabilities for executives? Take a look at how our comprehensive process ensures quality at every stage, from design through development, from QA testing and deployment. From start to finish, leadership, guidance and communication are the foundation to any successful project—and our project management team helps pull multiple stakeholders together to help guide you through every step in the process. Each project has its own characteristics that will dictate our methodology. 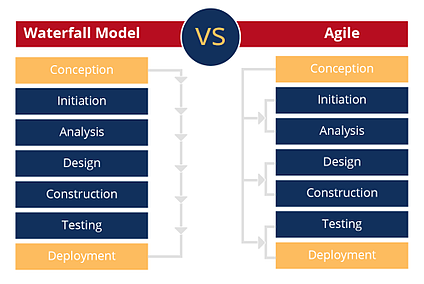 In some cases, it is beneficial to follow the traditional “waterfall” approach, while in others we adopt an “agile” so incremental benefit is delivered to your teams. Our senior business analysts and consultants understand your manufacturing and distribution industry domain and possess the business expertise to comprehensively and accurately document all requirements for your project. First, we take into consideration your business needs and constraints. Then, we move into the technical software solution design process. Throughout the design process, we maintain the balance between an outstanding technical design and a simplified, intuitive user experience. PSGi employs a staff with multiple technical skills providing a team approach to any development effort as necessary. We tackle complex development efforts across a variety of platforms and technologies. Typically, PSGi works remotely on our customers' systems, while giving you full access to the development process so you can see our progress every step of the way. On top of our 30 years of manufacturing industry domain expertise, we employ Quality Assurance (QA) steps throughout the development process that ensure a higher quality product and no costly rework in later development stages. We use YOUR systems to develop applications—which simplifies and speeds up the deployment of these systems to the test and production environments. After thorough testing by both PSGi and the customer, we promote your applications into production and provide user training as desired. Need to modernize your applications? Do you have an application that addresses your business requirements, yet users struggle with those archaic “green screens”? PSGi uses native IBM modernization tools available on the IBM i along with tools from our partner, Lansa, to bring you a full range of modernization solutions. Application Assessment – We focus on the areas where there is currently the most risk of issues—and the most opportunity for improvement. Modernization Options – Whether you’re looking for a new user interface over the web or a complete architecture replacement, we’ll apply a variety of tools and methods available to modernize the application. Design and Planning – Our team identifies options for application modernization based on a detailed analysis and discovery of the application software and how it is used in your business environment. Implementation – We develop your solution using the best-fit tools and strategies and roll it out across your user community. Questions about how Software Design & Development can help your organization? Let us know your needs and we’ll be in touch! What’s in PSGi’s Tech Stack?